The Big Wobble: Another landslide horror claims 200 lives in the Democratic Republic of Congo bringing the week total around the world to more than 1500! Another landslide horror claims 200 lives in the Democratic Republic of Congo bringing the week total around the world to more than 1500! A landslide in eastern Democratic Republic of Congo is likely to have killed more than 200 people, based on estimates from the number of households submerged, the governor of affected Ituri province said on Friday. The landslide struck the village of Tora, on the shores of Lake Albert, a seismically active zone in the western Rift Valley, on Thursday. "There are many people submerged whom we were unable to save," Pacifique Keta, the governor of Ituri province, where Tora lies, told Reuters by telephone. "The rescue is very complicated because there are mountains everywhere, which makes it very difficult to have access." Nepal claimed at least 128 lives and 33 people missing. 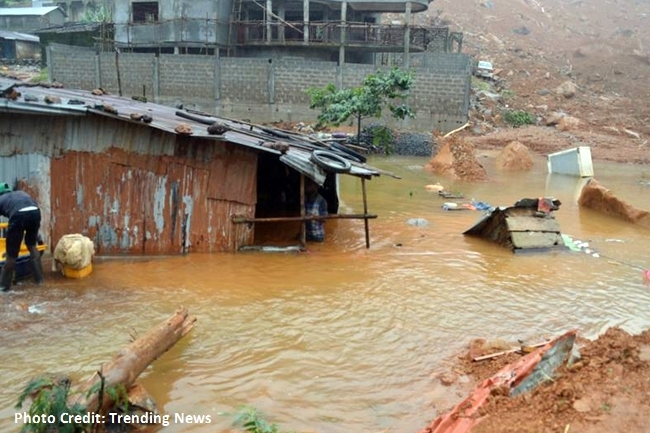 Earlier in the week Sierra Leone claimed more than 400 people have been killed with around 600 people still unaccounted for in their landslide horror.